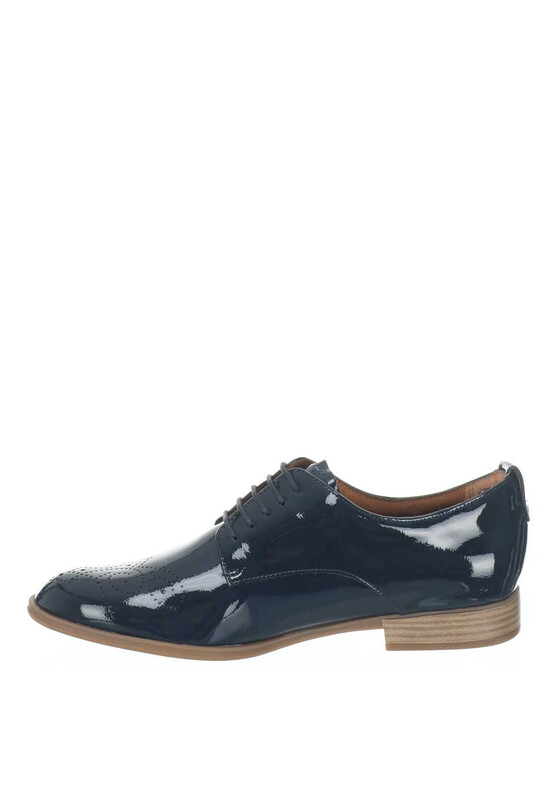 Create a preppy office style by teaming these stylish patent brogues with tapered trousers and a striped blouse. 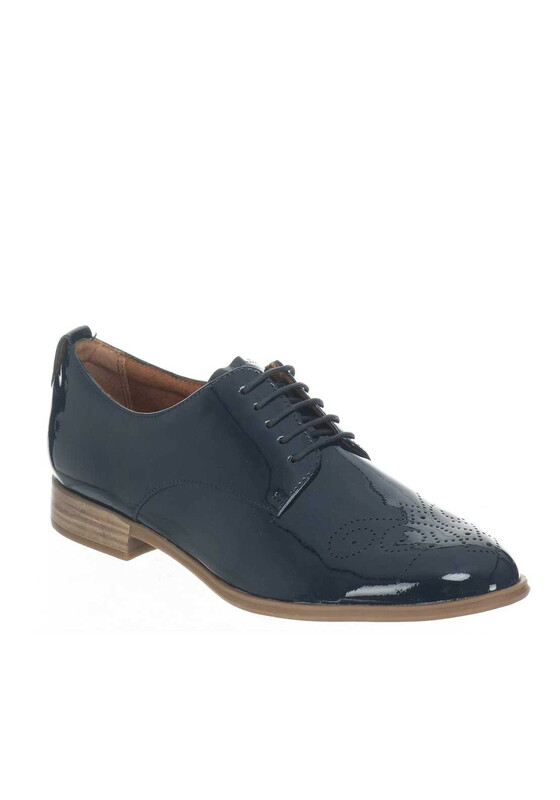 In timeless navy, they are sure to bring you right through the seasons and feature feminine laser cut out detailing on the toe, a lace fastening and a soft cushioned leather insole. Material: Upper-Other Materials. 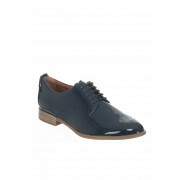 Lining and Sock- Leather. Sole- Other Materials.